The Dead’s in Academic National Drama Theatre buy tickets online. Delivery of tickets for the event The Dead’s. Written in 1909 year’s comedy “The dead” in its original content, priceless idea, the artistic ways with characteristic genres unlike other is rare attwork Art. “The Dead’s” called home as dramatical piece animating great skill global issues, showing guality inherent to tragedy satirical drama,on life tragedy, reproducing the awful truth comedy, tragicomedi’s or satirical comedy. The derisive’s senselessly position aesthetic evaluation and characteristic is foundation humour and irony. But before satire are more severe problems, she on effects accusations, sarcasm says not only archness, but also reveals public threat and troubles. One of species comedy is grateks. Acting sarcasm’s and grateks is concentration social disaster’s, creating an image grateks, increase before intermediate cartoon. Exposing in satire and gratek dangerous public flaws of comic here in some cases moving to tragedy. The comic in composition, but tragedy in the spirit, in winner of the minds alone and without assistance, illiterate fanatics is constitute the majority and stronge’s.Iskander at present their midst, environment, position and opportunities inactive revolutionary, the really assessing the situation struggling intelligent. The second form in composition driven the epochal type, the purpose of exposing- selected famous Sheikh Nasrullakh. Sheikh Nasrullakh in the environment constitute the majority, ignoramus, fanatics, transformed belief, religion into a weapon robbery, become a slave their greed and unchanging wishes- main tupe. Against raging in the anvironment the morality dead Sheikh Nasrullah’s. Ray is in an endless darkness, sharp mind, clean, hign morals of Iskander’s. 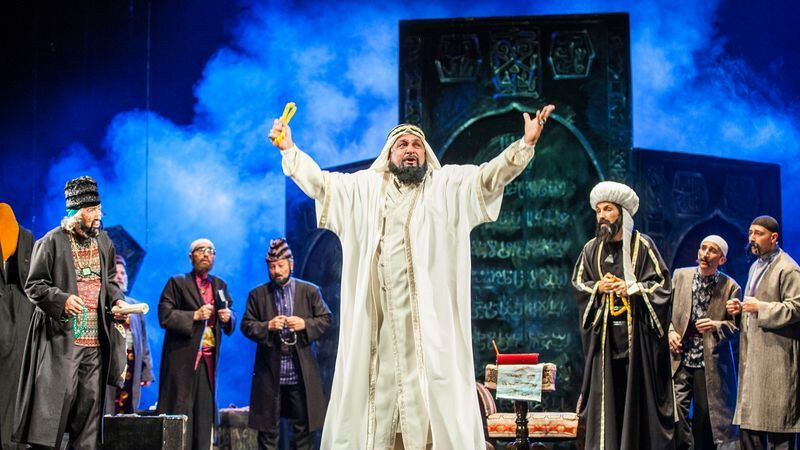 The performance of “The Dead’s”sponsored by Azer Pasha Nematov acute criticizes existing and in the XXI st century moral stagnation’s, fanaticism, public uncertainty, bound the human mind and knowledge. Said outstanding personalities based on Dcalil Mammedkulizade.